I recently got some goodies from Jolse to try and I wanted to share them with you guys. This is the Wish Formula Special Kit, which includes some of their popular products. 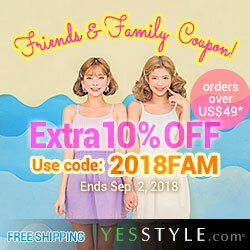 Wish Formula is a Korean brand that focuses on skincare products. 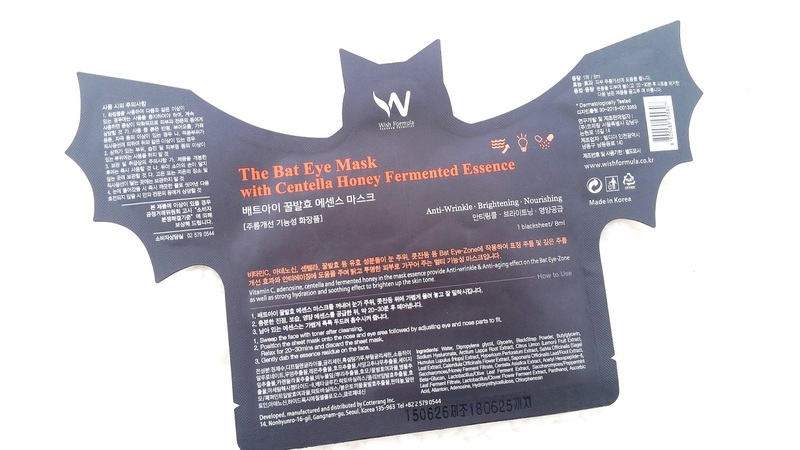 This kit includes their Bat Eye Mask, I'm Po Ampoule Pad, Bubble Peeling Pad, and a variety of samples featuring some of their toners, serums, lotions/creams/gel, spot treatment, and sun screen. That's pretty much an entire skincare routine! (If only they came in bigger sample pouches.) I'll be sharing my mini reviews on these products below. Let's get to it! Product Description: New and unique ampoule pad that's formulated with 10% vitamin C to brighten skin complexion and deliver antioxidants to the skin. The ampoule pad also contains various nourishing ingredients such as soy ferment, pine bark extract, aralia elata root extract, mistletoe ferment, and wine extract. 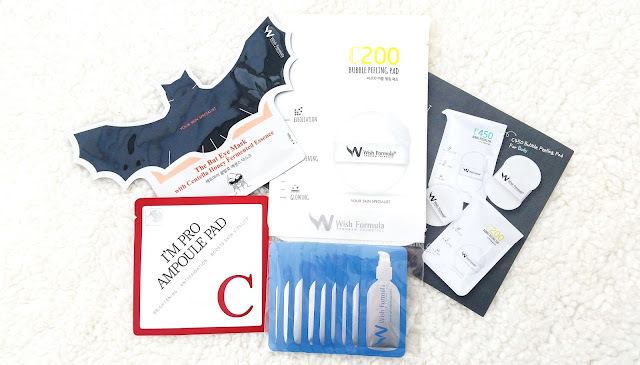 These ampoule pads are travel friendly and they can be used in place of sheet masks. To Use: Cleanse and tone the skin first. Insert your fingers under the ampoule pad band. Using gentle sweeping motions, apply the ampoule all over the skin. Tap the ampoule pad onto the skin for better absorption. Wait 1 minute then massage the remaining ampoule into the skin. Ingredients: Water, ascorbic acid, butylene glycol, alcohol, diethoxyethyl succinate, 1,2-hexanediol, PEG-60 hydrogenated castor oil, xanthan gim, sodium bicarbonate, potassium hydroxide, caprylyl glycol, pinus radiata bark extract, PPG-1-PEG-9 lauryl glycol ether, coceth-7, tocopheryl acetate, santalum album (sandalwood) oil, backhousia citruodora leaf oil, disodium EDTA, aralia elata root extract, retinyl palmitate, arachis hypogaea (peanut) oil, PEG-40 hydrogenated castor oil, caprylhdroxamic acid, glycerin, phellinus linteus extract, wine extract, tocopherol, saccharomyces/viscum album (mistletoe) ferment, saccharomyces/imperata cylindrica root extract, lactobacillus/soybean ferment. Michelle's Thoughts: I had mixed feelings about this product. You can say it's a love hate relationship. 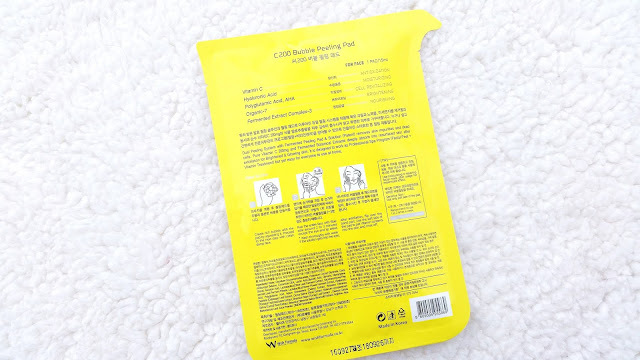 This is a one time use pad and as you'll read later on (same issues with the bubble pad), it's current packaging (*hint hint*) is not very environmental friendly. 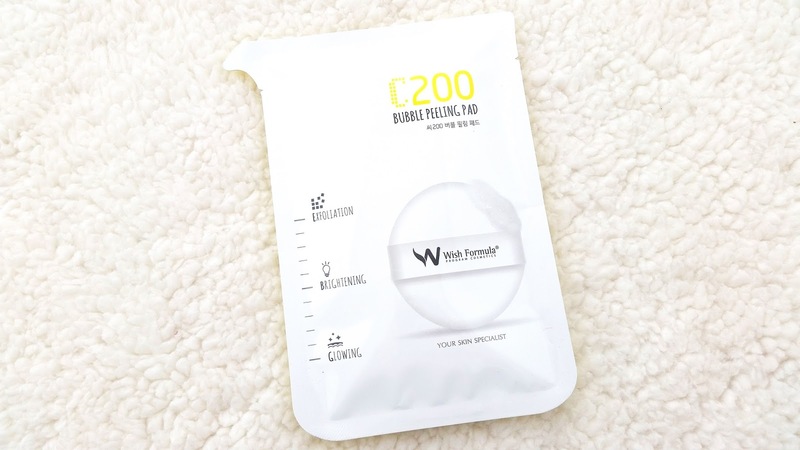 I can see how this is very travel friendly and can be used in place of a sheet mask, however, for everyday at home uses it would be better if the pads came in a 15/20/30 pack container or something. The pad itself actually reminds me of the 7 Seconds Morning Sheets or the Neogen Gold exfoliators with a different formula. It's certainly not the first of its kind in the market. I'm not fond of the alcohol ingredient in this product. It's 4th on the list and if you've read my posts before regarding alcohol in skincare products, you might remember that sometimes my skin can react badly to products with alcohol in them. It's not all the time but it can happen and usually it's with products that containing a high content of it. I was very careful testing this one out. Luckily, it didn't break me out. As for its skincare effects, it was okay. My skin did look a little brighter but nothing major. This is one of those products that needs long term use to possibly see results from, so it's hard to tell from just one use. While it was easy to use, I'm not sure if it's better than just using a vitamin C serum instead. The ampoule pad had a citrus scent to it with a chemical like after scent. It wasn't too bad but I wish it didn't have that after scent. 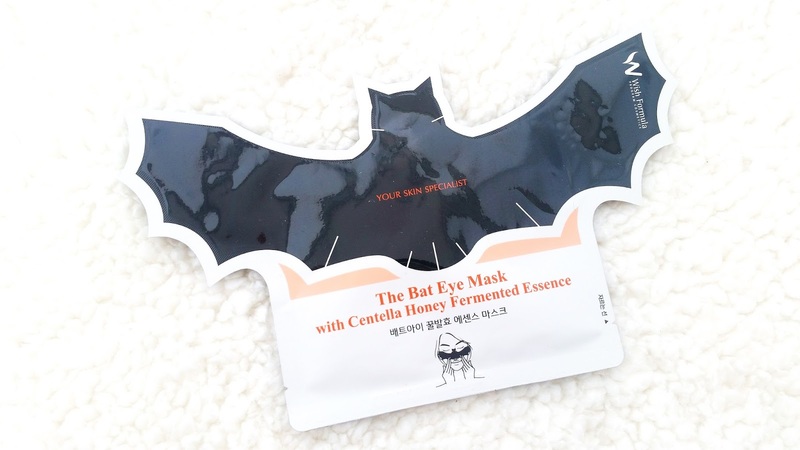 Product Description: This anti-aging, brightening, and nourishing eye mask comes in the unique shape of a bat. It's formulated with centella asiatica extract, vitamin c, honey ferment, lemon extract, calendula extract, and more to help reduce fine wrinkles, brighten the skin, and provide vitamins and nourishing ingredients to the areas applied. The mask can also soothe the skin and provide lasting hydration. To Use: Cleanse and tone the face. Take the mask out of its pouch and apply it into position. Leave the mask on for 20 to 30 minutes. Remover afterwards and pat in any remaining essence. Ingredients: Water, dipropylene glycol, glycerin, blackstrap powder, butylglycerin, sodium hyaluronate, arctium lappa root extract, citrus limon (lemon) fruit extract, humulus lupulus (hops) extract, hypericum perforatum extract, salvia officinalis (sage) leaf extract, calendula officinalis flower extract, saponaria officinalis leaf/root extract, saccharomces/honey ferment filtrate, centella asiatica extract, acetyl hexpeptide-8, beta-glucan, lactobacillus/olive leaf ferment extract, saccharomyces/peppermint leaf ferment filtrate, lactobacillus/clover flower ferment extract, panthenol, ascorbic acid, allantoin, adenosine, hydroxyethylcellulose, chlorphenesin. Michelle's Thoughts: Okay, you can't say no to cute bat shaped masks. It's an entertaining mask and I can see it being used at sleep overs and night-ins with the girls. I had a lot of fun using the mask and I also sang 'Nah nah nah nah nah nah nah nah...Batman' while wearing the it ^-^ . The mask fits really nicely (yay for nicely positioned slits) and stayed in place too. I left the mask on for about 30 minutes and it was fairly soothing. After I removed the mask, the areas it covered felt really hydrated. I noticed a little bit of brightening in those areas but not much, which was a slight disappointment. It didn't have much of an anti-aging effect either. Maybe with continued use, the anti-aging effects would be more noticeable. 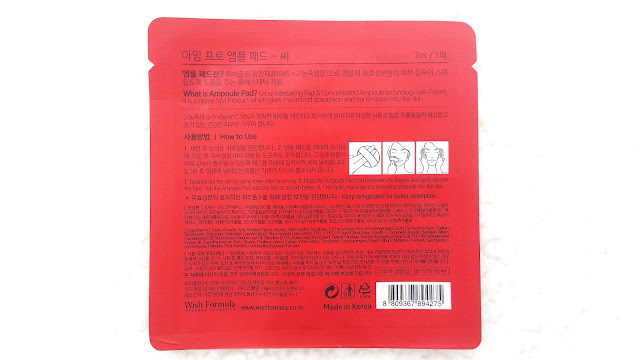 Product Description: The bubble peeling pad is a dual-sided peeling system. It has an exfoliating side that helps to remove skin impurities and a soft side to pat in vitamin contents and soothe the skin. The bubble peeling pad contains fermented ingredients to nourish the skin. The C200 part of the name stands for the vitamin C content the pad contains, which is 200 mg. Together the ingredients works to brighten the skin and provide a natural and healthy glow. The bubble pad is designed to work as a professional spa program (facial peel + vitamin treatment), however, it's easy enough for anyone to use at home. 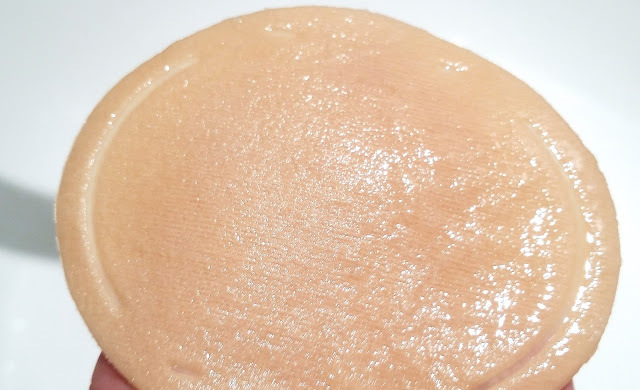 To Use: Create rich bubbles with the pad by squeezing it. Proceed to the next step with clean. damp face. Rub the entire face with the fiber side for 2 to 3 minutes. (Avoid the eye and lip areas.) After exfoliation, flip over the pad and use the soft side to pat vitamin contents into the skin before washing off. Ingredients: Water, disodium cocoamphodiacetate, potassium cocoyl glycinate, cocamidopropyl betaine, cocamise DEA, lactic acid, glycolic acid, glycerin, dipropylene glycol, ascorbic acid, lactobacillus/olive leaf ferment extract, saccharomyces/peppermint leaf ferment filtrate, lactobacillus/clover flower ferment extract, hyaluronic acid, polyglutamic acid, apium graveolens (celery) extract, brassica oleracea capitata (cabbage) leaf extract, oryza sativa (rice) extract, solanum lycopersicum (tomato) fruit/leaf/stem extract, brassica rapa (turnip) leaf extract, daucus carota sativa (carrot) root extract, brassica oleracea italica (broccoli) extract, arginine, aloe barbandensis leaf juice powder, DMDM hydantoin. Michelle's Thoughts: I really like this bubble peeling pad. It's super easy to use and works really well. The pre-soaked pad has a cushion center and an exfoliating outer mesh weaved with micro-fiber. Even though it's exfoliating the skin, it doesn't feel harsh and certainly doesn't hurt either. Try not to over exfoliate though, as that can be bad for the skin. After I washed the foam off, I noticed my skin was brighter and cleaner. It felt smooth to the touch as well, which is great. The bubble peeling pad had a mix of citrus of herbal scents as well. I really liked the sponge pad, so I ended up rinsing it out and left it out to dry. I think I'll try using it once a week as an exfoliating sponge with my facial cleanser. I'm not sure how long the sponge pad would last, but I sure hope Wish Formula would make a long lasting version of this sponge so I can add it to my routine. The downside is that this is meant to be a one time use product, so it's not very environmental friendly. I wish it came in a multi-pack container or something. On the flip side, it is very travel friendly. These samples are too small for me to test fully, which is unfortunate because some of them seem very interesting. However, I'll still share the basic details about them and my thought as well. This is a pH balancing toner. The toner itself is clear and its consistency is liquidy, not thick but not quite watery either. The toner felt nice and hydrated on the skin. This is a pretty basic toner. It has a similar consistency to the Hydra Base pH5.5 toner as it's not thick but not thin like water either. I can pick up hints of tea tree scent and possibly lavender as well. The toner felt soothing when applied and it helped to manage excess sebum. Although, the latter effect did not last throughout the day. The calming serum has a gold-ish color that's opaque. It does feel calming on my skin and helps to relieve some redness as well. A pore tightening serum generally helps to reduce the appearance of pores. This serum works the same way. It is fairly runny and it's easy to use. The serum absorbs easily into the skin and doesn't leave behind any sticky residues. It did help to reduce the appearance of my pores temporarily. I really liked this lotion. It felt hydrating when applied and doesn't leave behind any sticky feelings. It's soothing on my sensitive skin as well. Its oil-free formula leaves the skin fully moisturized without any greasy feelings or finish. This lotion felt like it would be good as a night time lotion. It's not as thick or rich as a night cream but it's thicker than I would like as a day time moisturizer. The lotion felt nourishing and moisturizing when applied. While it takes a few seconds to fully absorb, once absorbed it doesn't leave behind any sticky feelings. The Reparative K Cream seems like a concentrated treatment cream. It feels rich and I think it would work well for those with dry skin types. Since I have combo to oily skin type, I ended up testing it as a spot treatment on my dry-ish areas. The cream was able to moisturize those areas and reduce irritations due to dryness. A pretty basic aloe gel, nothing too special about it. Like other aloe gels, it feels soothing when applied. The spot cream is, as it implies, a spot treatment. While I do have a few small pimples currently, I didn't test this cream on any of them. In case they worsen. Instead, I patch tested on my skin and I'm glad I didn't use this on my acne. I can't speak for the quality of the cream but it smells horrible. I can't stand it. This sun block has sun protection of SPF 50+/PA+++. Its oil-free formula makes it hydrating but not greasy. It has a slightly thick texture and leaves behind a bit of a white cast. Final Thoughts: This kit was a good introduction to Wish Formula's products. I wish the pouch samples were bigger but that's okay. The bat eye mask was really fun to use but I wish it worked as good as it was fun. The bubble peeling pad is the best out of the lot and I've cleaned the sponge to save it for future usage as well since its exfoliating side feels really nice. 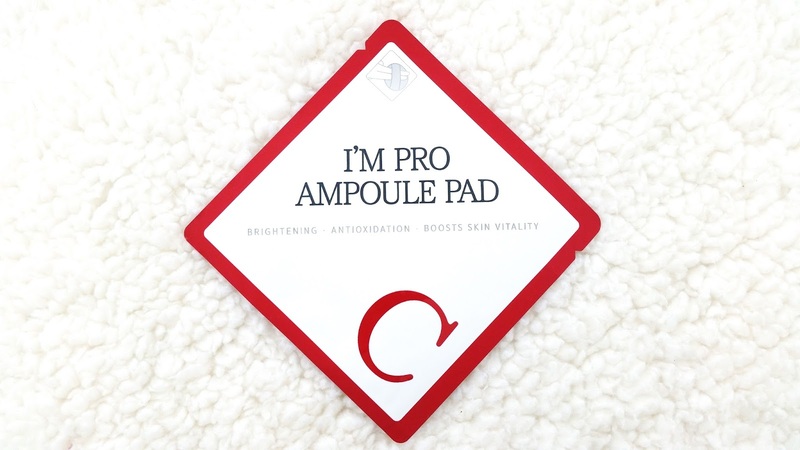 I have mixed feelings about the ampoule pad, which I explained in mini review above, so I won't go into details about that. Overall, the Special Kit is a great way to get to know the products from Wish Formula. I hope Jolse will carry this kit for its consumers as well, so they can try these products too. Disclaimer: These products were sent to me for review purposes. All opinions are honest and my own. For more information, check out the full disclaimer.